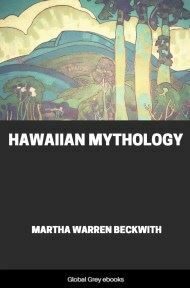 This book contains the traditional Creation and Geneological Chant of the Hawaiian royal family, along with Beckwith's extensive textual, anthroplogical, and historical commentary. 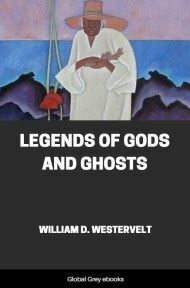 This is one of the few source documents available in the realm of Polynesian religion. THE Kalakaua text of the Hawaiian genealogical prayer chant called the "Kumulipo" covers sixty-six pages of a small pamphlet printed in Honolulu in 1889 after a manuscript copy at that time in the possession of the ruling King Kalakaua but now the property of the Bishop Museum in Honolulu, to which it passed in 1922 from the estate of Prince Kalanianaole, nephew of the former rulers. A prose note of two pages attached to the text tells the circumstances under which the chant was allegedly composed and recited in old days. 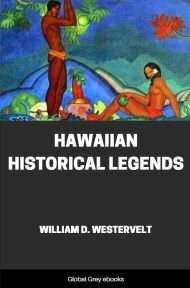 Except for the third paragraph relating the connection of the chant to the line of ruling chiefs from whom the Hawaiian monarchy of that period claimed descent, the prose note derives from the manuscript source. A European scholar, the eminent German anthropologist Adolf Bastian, first called attention to the manuscript of the Kumulipo. During a month's stay in Honolulu in the course of a tour of the Far East, he learned of the existence of a Hawaiian cosmogonic chant, borrowed the king's copy, and was able to translate passages from the first eleven sections and to obtain some light on their meaning. This text and translation, together with comparison with other cosmogonies from Polynesia and from ancient Asiatic as well as European civilizations, Bastian incorporated into a volume called Die heilige Sage der Polynesier, published in 1881 in Leipzig. The interest shown in the chant by this European scholar probably influenced the king to have the text printed. He saw also a chance to strengthen his own hereditary claim to the throne among subjects who regarded genealogical descent as the ultimate test of rank. Six years later his sister and successor, the deposed Queen Lili'uokalani, while under detention at Washington Place in Honolulu after the attempted revolt of 1894-95, began a line-by-line translation of the Kalakaua text. This translation was later completed and published in Boston in 1897. In 1902 a native scholar of Kona district on the island of Hawaii, named Joseph Kukahi, printed in Hawaiian, together with other traditional lore, a text with commentary of the Kumulipo through the eighth section. Except for considerable abridgment, the edition differs but little from the Kalakaua text. Kukahi is said to have held a post at the palace as a member of Kalakaua's household. His version must have come from a common source with the manuscript copy, if it is not a direct variant from it. In 1928 Kukahi's first seven sections, in still further abridged form and with an attempted English translation, were reprinted in consecutive numbers of a short-lived bilingual journal called Aloha. 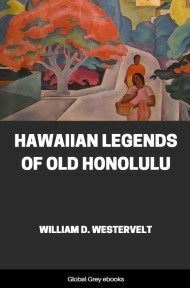 Unfortunately this praiseworthy effort to revive interest among Hawaiians in their literary heritage is without importance for this study. As a printed text the Kumulipo chant is thus buried in obscure libraries out of reach of scholars today and unknown even to the few Hawaiians left who read their own language and might be able to interpret its meaning. Of manuscript texts, the most important after that reproduced by Kalakaua in his printed edition is an unsigned book of genealogies attributed to "Kamokuiki." The late J. M. Poepoe called this Kamokuiki "one of those who were instructed with David Malo under Auwae, the great genealogist of Kamehameha's last days," who "filled in the genealogy left incomplete by Malo ... from Puanue back to Kumulipo and forward to Wakea." Of the two thousand one hundred and two lines of the Kumulipo chant as it appears in the Kalakaua text, over one-half are straight listings of names of man and wife, kane and wahine. The Kamokuiki book gives all these genealogies, each under its own heading and with variations unimportant in themselves, but proving an independent transcription. Poepoe, who was Rivers' Hawaiian informant for his volumes on Melanesian society, himself left an unfinished text and commentary on what he calls "Kamokuiki's Genealogy of Kumulipo." Another manuscript by an unknown hand gives a genealogy of La'ila'i from the "creation" to Kalakaua. Still another consists in a translation into English of Bastian's German rendering of the Kumulipo manuscript text, made at the request of Dr. Handy by the Austrian philologist Dr. Joseph Rock. Finally, a fifth manuscript called "Helps in Studying the Kumulipo" contains classified name lists chiefly of plants and animals. These, though important in themselves, have no direct bearing upon the interpretation of the Kumulipo chant. Besides these written sources I have gone over the text with living Hawaiians familiar with native chant style. In two cases these informants were introduced to me by Theodore Kelsey of the Hawaiian Village, to whom I am indebted for paving the way to the establishment of friendly relations. David Malo Kupihea is from a Molokai priestly family who held an inherited post under the late monarchy as keeper of the royal fishponds below Palama. The late Daniel Ho'olapa belonged to an old Kona family on the island of Hawaii, and his wife was also of chief blood. A third helper was the late Mrs. Pokini Robinson, an old family friend of exceptional qualities of mind belonging to an important chief family of the island of Maui and, although given an English education in a mission household, preserving a constant connection with Hawaiian life and tradition as she knew it in old days under the best native environment and as she followed it through the Hawaiian press.